Anglers found some nice Mahi Mahi action last week during the choppy ocean conditions and brisk northeast winds. 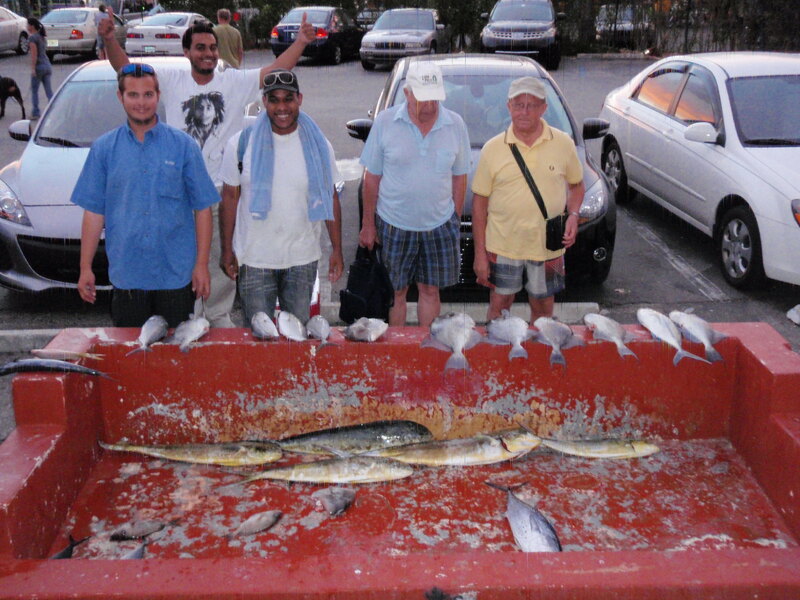 Fish up to 18 pounds were being landed by anglers fishing either one ounce knocker rigs or free-lining whole sardines. Anglers fishing bottom rigs and cut squid have been landing Gray Triggerfish up to 7 pounds as well as Yellow-tail Snapper, Lane Snapper, Red Grouper and an occasional Cobia. 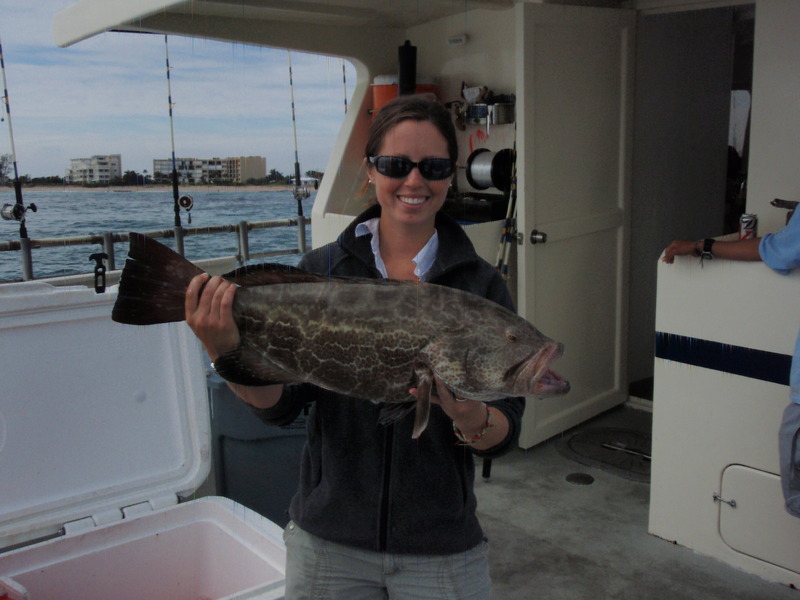 Black and Gag Grouper have been showing up along the reefs and have been hitting Thread-fin Herring spooled along the bottom. It is quite a battle to keep these heavyweights out of the reef and then a bit of luck to reel them in past the sharks, who love to dine on the snow-white meat, but the rewards of getting a beautiful fish into the boat is well worth the effort. 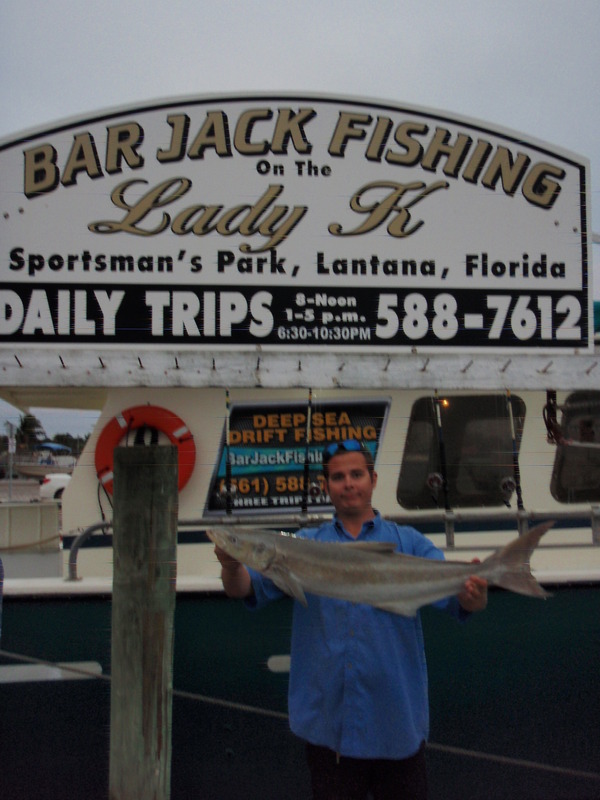 VIP angler Mark boated this nice fall Cobia while fishing aboard the Lady K during Monday’s afternoon trip. The fish ate a whole Thread-fin Herring fished on the bottom. Mark also had some nice Grouper action but lost out to the sharks. Anglers have been catching a large variety of fish this week including Yellow-tail Snapper to three pounds, False Albacore, jumbo sized Gray Triggerfish, Porgies, Red Grouper, small Sharks, Mangrove Snapper, King Mackerel and a host of colorful reef fish. The Lady K will be sailing for Thanksgiving Day and the day after. No reservations are needed, just come on down to the dock and buy your tickets, we supply everything you need for fishing and our crews will instruct beginners on how to use the tackle. BarJack Fishing also has gift cards available, the perfect gift for that very special angler in the family who loves to fish. We also offer a VIP program where anglers can prepay for eleven tickets at $300, that’s only $27.00 per ticket and a great savings! We hope everyone has a Happy Thanksgiving and an even happier Holiday season!